Great for creating pairs of socks or mittens! Or hold both strands together for a squishy DK weight hat or cowl. 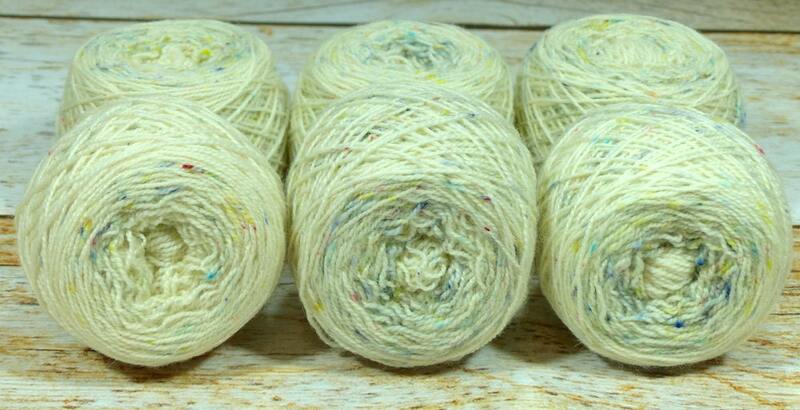 The combination of Blue Faced Leicester/Nylon and tight ply of this yarn make it quite hard-wearing. Looks great in garter stitch, textured stitches and more! 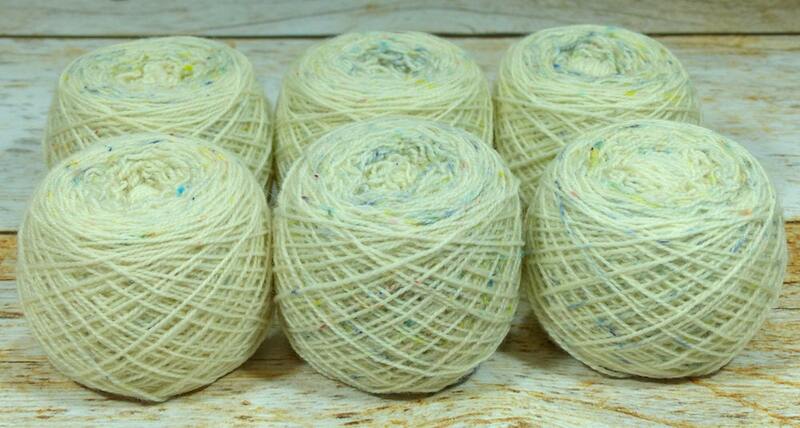 My Llark line of speckle dyed yarns are made from my own sock blanks using professional acid dyes. 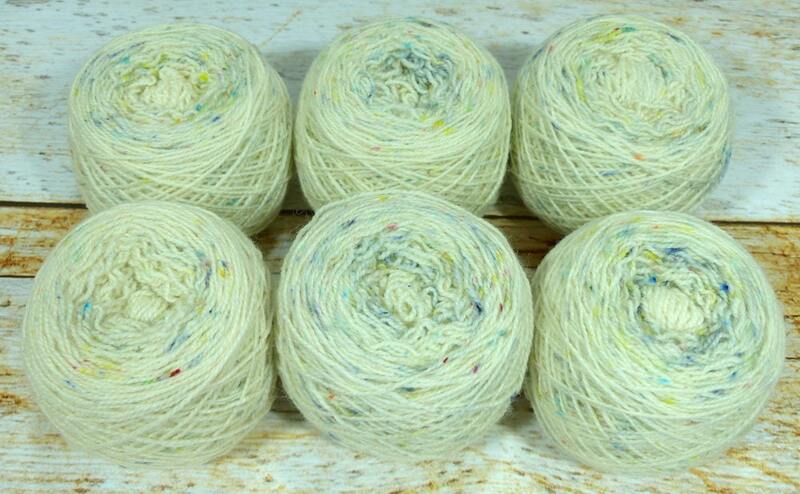 These skeins feature a small all over rainbow and black speckle. This listing is for one set of "Fraternal Sock Twins". 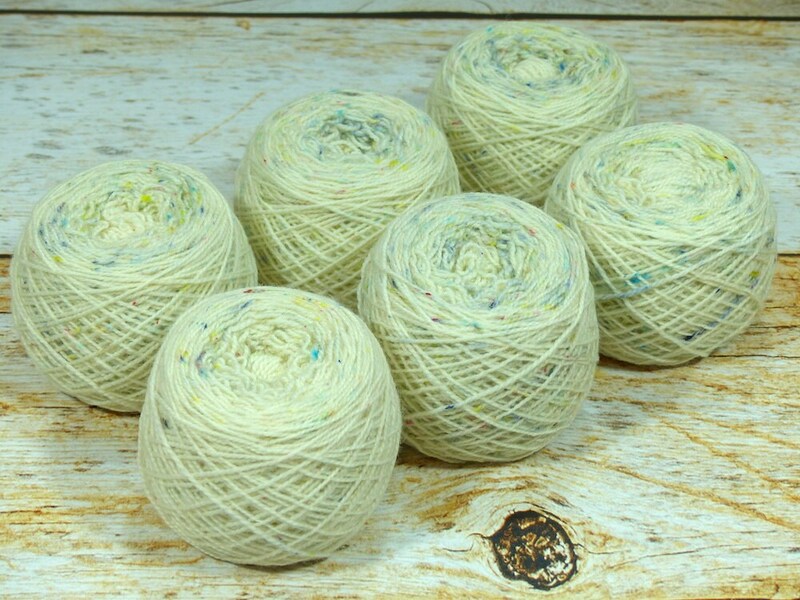 Each approximately 50g ball is dyed side by side with it's twin, but the random speckle dye technique makes these a fraternal pair.